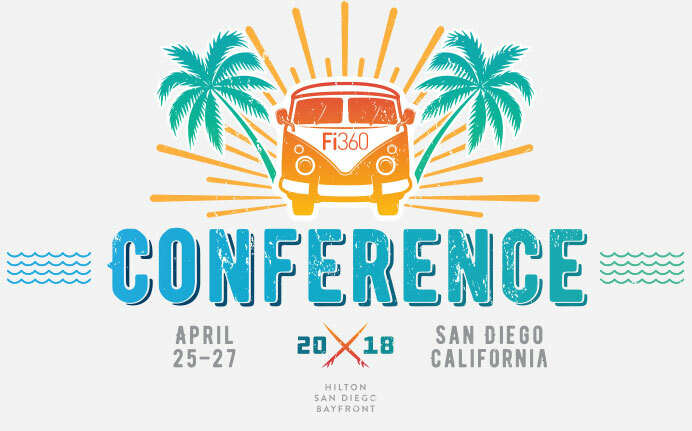 To kick off the 2018 Fi360 Conference, Mark Schoeff, from InvestmentNews, moderated a Policies Panel with Joseph Borg, the Alabama Securities Commission Director and president of the North American Securities Administrators Association, Dale Brown, president and CEO of the Financial Services Institute, Jolie Matthews, Senior Health & Life Policy Counsel at the National Association of Insurance Commissionres and Blaine Aikin, Executive Chairman Fi360 and CEFEX. The presentation is not available for download. Join Jeffrey Kleintop, CFA, for an in-depth analysis and discussion of trends and events in the global markets and what they mean for U.S. investors. A frequent guest on CNBC, CNN, and Bloomberg TV, Jeff is a leading voice in the financial industry. Recognized by The Wall Street Journal as one of “Wall Street’s Best and Brightest,” he is frequently quoted in Barron’s, The Wall Street Journal, and The New York Times. For timely insights, follow him on Twitter at @JeffreyKleintop. The Conference recording and presentation are not available for download. Fiduciary investment managers are under increasing pressure to consider environmental, social, and governance (“ESG”) factors in their investment decisions. However, some fiduciaries, policymakers, and commentators have voiced doubts about whether ESG investing is consistent with fiduciary duties. In sharp contrast, others argue that ESG is consistent with, or even possibly required by, fiduciary investment standards. This presentation will include a discussion of the law and economics of ESG investing by a fiduciary subject to U.S. law, reconciling these two extreme positions. Many successful retirement plan advisors still struggle with and have questions about staffing for their practice. With so many time consuming activities, which job positions do you add and when? How do you develop staff to maximize long term performance and ensure everyone is in the right role? This workshop is a deep dive into optimizing your retirement plan practice and will address staff development with a very measurable result: a greater bottom line. Financial assets, such as stocks and bonds, are only one component of an investor's total economic worth. Other assets, such as human capital, real estate and pensions often represent a significant portion of an investor’s total wealth, but are commonly ignored when building portfolios. In this presentation David Blanchett, head of retirement research at Morningstar Investment Management, will explore various frameworks to design more efficient portfolios from a total wealth perspective. Topics discussed include the relevance of human capital, optimal endowment allocations given donation risk, the impact of liabilities on optimal portfolios, efficient income investing, tax alpha, and optimal portfolios for different investing durations. Our industry’s collective objective is to help plan sponsors meet their fiduciary obligations and reduce liability, and to help plan participants meet their long-term investment objectives. This, as you know, is easier said than done. For example, how important is investment manager selection? How can we better understand the differences between active and passive investment management? What have we learned from ERISA, DOL commentary and case law about what matters? Can the right target date series make a significant difference? What makes a target date series “right”? Join us for useful information and lively discussion about these important issues and more. Passive is not necessarily safer or better than active. Fiduciaries who are evaluating investments should focus on the right things and seek better participant outcomes. The new fiduciary era for financial advisors who concentrate on retirement plans and IRAs began June 9, 2017, with the effective date of the “fiduciary rule” that interprets ERISA section 3(21)(A)(ii) [(A) a person is a fiduciary with respect to a plan to the extent that ... “(ii) he renders investment advice for a fee or other compensation, direct or indirect, with respect to any moneys or other property of such plan, or has any authority or responsibility to do so”...]. The fiduciary rule extends to investment advice provided to plan fiduciaries, plan participants, and IRA owners. It makes what was once primarily a sales activity regulated by FINRA, state insurance departments, and broker-dealers a fiduciary activity subject to the regulation of the U.S. Department of Labor (“DOL”). This presentation: (i) examines the current status of the fiduciary rule; (ii) considers the prognosis for the fiduciary rule after the “transition period” [June 9, 2017 - June 30, 2019] has expired; (iii) explains the significance of prohibited transactions affecting the advisor and the applicable exemptions; (iv) develops the concept of “reasonable compensation” and relates it to the general discussion of prohibited transactions and their exemptions; (v) describes why an advisor needs a value proposition in this new fiduciary era; (vi) explains how to go about the process of creating a value proposition; (vii) illustrates the impact of the fiduciary rule on the advisor’s compensation and attendant value proposition; and (viii) closes with a summary of the discussion. Employers today need help when building meaningful, relevant benefits for their employees. Healthcare and retirement benefits are no longer in separate silos. Much like retirement benefits moved from Defined Benefits Plans to Defined Contribution Plans, healthcare is becoming more of an employees responsibility. There is a lack of understanding around Health Saving Accounts, not only at the employer level but, also at the employee level. This session will discuss how to frame the conversations differently so you can add value to your clients and separate yourself from advisors. SMA strategies are no longer just for the executive of a plan. Today, more and more plan sponsors and advisors are taking advantage of using SMAs as Default Investment Alternatives ("DIA") inside retirement plans making them available to all participants. This session will go over the hurdles in performance reporting, trading costs and implementation kept plans from taking advantage of managed accounts. With the technical advances now available, the industry is seeing a large up-tick in adoption rates. SMAs are poised to make a dent into the DC world that was once cornered by the mutual fund industry. The Bipartisan Budget Act of 2015 is eliminating the popular File-and-Suspend and Restricted Application claiming strategies. In this session, we’ll discuss how those claiming strategies have worked, the timing of when they are being phased out under the new rules and transition planning for couples, single individuals, divorcees, parents and widows, given the new rules. This session will also explore the overall dynamics of when to take Social Security early versus delay, and how claiming these strategies will shift in the future given the limitations of the new rules! The Conference recording and presentation are not avaiable for download. Many financial advisors want to write and many marketing experts suggest that content marketing can be a key way to build their business, their brand and their client roster. That’s all well and good, but financial advisors need to give some thought as to why they are writing and what their objectives are for writing. What is the message I want to convey to this audience? What am I looking to accomplish via my writing? What are my goals? What type of information and approach is right for my target readers? What is the best way to reach my audience? Blogs, newsletters, articles on major sites? What problems can I help them solve via my writing? In this presentation, we look to identify the major business disruptors that we have identified in the market as it relates to the collapse of significant profit pools. In addition, how the winners and losers tie into sourcing long term alpha. The fiduciary rule establishes new and difficult rules for recommending plan distributions and rollovers. What are the alternatives to making fiduciary recommendations? How can a compliant recommendation be made? How can the risk be managed? This program covers those issues for rollovers and transfers of IRAs. Prior to the new regulation and accompanying guidance from the DOL, retirement plan fiduciaries were arguably at a disadvantage relative to their “retail” counterparts – particularly when it came to forging relationships beyond the plan with individual participants. While the DOL rule did impose new requirements that have presented challenges to advisors generally, retirement plan advisors now have the upper hand. Rollovers, for example, require all advisors to evaluate specific criteria prior to recommending a distribution from a plan. Plan advisors are not only better equipped to decipher fee disclosures, SPDs, etc. to determine whether a rollover is in the participant’s best interest, they have an operational advantage when it comes to participants in plan they advise; they will already know the attributes, services and fees associated with those plans, allowing them to scale what would otherwise be a time consuming exercise in information-gathering. They are also starting from something north of zero when it comes to comparing their compensation if the assets stay in the plan versus being rolled over to an IRA. The DOL rule also cleared the way for advisors to charge additional fees for enhanced participant-level services such as individual investment advice, managed accounts and the like. Consequently, we are seeing many advisors that would have previously considered themselves “purist” – meaning they only served the plan and didn’t compete for additional opportunities to work with participants, their households or other outside wealth advisory prospects. The new fiduciary rule creates legal “traps” for advisers to plans, participants and IRAs. This program identifies those traps (that is, prohibited transactions), describes the pathways to compliance, and recommends steps for risk management. Retirement plan trends are shaping the future of innovative solutions. A change in retirement plan strategies and how providers think about retirement plans will be critical for your clients to attract and retain a diverse workforce. Moving forward, plan sponsors must meet the needs of both millennials entering the workforce, who have different expectations and values, along with the aging American population of more than 7 million baby boomers nearing retirement. It will be important to address the challenges and fortify retirement plans today to provide financial security for the workforce, while planning for the future. Yet, today most retirement plans miss the foundational purpose of a retirement plan: delivering dependable and lasting retirement income. How can you address these challenges to provide for the financial security of a diverse workforce? Employers have the option to shepherd retirees in the early phase of golden years, but need to provide investment vehicles that are appropriate for the various phases of the employment/retirement lifecycle. Thus, how can plan sponsors retrofit their plans to better reflect an emphasis on the "de-cumulation" phase and account for the need for a reliable stream of income? This presentation will discuss the role that retirement income and enhanced QDIA’s can play in overall investment design to help improve retirement plan success. The Outsourcing Dilemma: Is a 3(38) Worth It? Designing and monitoring a 401(k) investment menu is an increasingly important, but risky fiduciary decision. Under the DOL's fiduciary rule, almost any recommendation about plan investment options is a fiduciary act. Industry publications are swarming with headlines about new ERISA class action lawsuits, attacking investment selection and monitoring choices. Amidst the growing liability, advisors face aggressive fee compression. Should you outsource investment recommendations to limit your liability? If you do, how will you differentiate your services from your competitors? With so many providers pitching their services, how do you pick the right partner? Our advisor panel is designed to help you answer these questions and more. This session is for advisors who are interested in learning more about the government retirement plan market. We'll cover the basics of 403(b) plans, their unique fiduciary considerations, and how they fit into the overall retirement picture for public employees. We'll also cover the specific considerations for offering 403(b) services, such as state-level and ERISA guidelines, selecting and monitoring products, and service provider due diligence. In this session, advisors will learn how asset-level optimization and benchmark emulation techniques to illustrate the construction and implementation of completion portfolios for better addressing fiduciary standards. A completion portfolio is a set of investments to be added to an existing portfolio to correct for under-weighting, over-weighting or other shortfalls in the original portfolio composition. A completion portfolio is often not diversified because it is aimed at offsetting specific risks in the original portfolio. When an investor's total financial portfolio is considered, including non-traded and thinly traded assets (such as privately held business interests and real estate), there may be excessive concentration and inadequate diversification. A completion portfolio of traded assets can be created to offset the risks from the concentrated holdings in the non-traded and thinly traded assets. Senior Vice President, Head of Defined Contribution-U.S.
As participants age, their financial needs and contexts evolve. While early-career participants may be treated as a more homogenous group, late-career participants' situations become more unique and more complex. However, many participants are not aware of exactly what their changing retirement planning needs are. In the spirit of seeking better outcomes, we ought to consider how to meet these often unarticulated needs. That's what innovation is all about. Meeting the objectives of the plan sponsor and driving outcomes is the heart of every retirement plan. Learn how to develop an efficient, scalable service model and plan calendar for your clients that includes fiduciary training and oversight, plan design and administration and driving outcomes with an effective employee education plan. This panel will discuss how ERISA fiduciaries can consider ESG issues in light of DOL guidance. Participants will leave with a better understanding of these issues in a practical sense. They will then be able to examine their own compliance approaches, as well as converse about these topics with their clients in a meaningful way. As fiduciaries we are charged with meeting a higher standard of care. So what do you do when you step into a fiduciary role and realize that things are terribly wrong? This is a story of protecting donor intent and honoring fiduciary responsibilities above all else. How to engage in an independent fiduciary review and the importance of these reviews as a regular course of business. Self-reporting fiduciary violations to the Attorney General. Making financial decisions as a fiduciary during the zone of insolvency. What is D&O for anyway? How can your Investment Consultant best support a Foundation during this time? Rebuilding public trust and confidence while ensuring this never happens again. The presentation is not avaiable for download. Kaizen is the practice of continuous improvement. One of the most notable features of kaizen is that big results come from many small changes accumulated over time. The presentation will discuss how a nationally-recognized, best-in-class retirement plan sponsor continues to achieve high participant satisfaction, utilizing the plan in recruiting and retention success. The Conference recording isnot available for download. In this session, we will revisit Modern Portfolio Theory, and examine what it was – and was not – supposed to tell us about portfolio construction. We will explore some of the ways that we develop the inputs used in Modern Portfolio Theory and some problems that arise, with an eye on how portfolio construction may change in the future. The Conference presentation and recording are not available for download. This session traces the evolution of historically predominant investment strategies, from active and passive investing to the development of active/passive blended strategies known as strategic beta. The program continues with an exploration of the basic attributes, objectives, and principles of different types of strategic beta strategies and concludes by investigating an integrated model of portfolio construction that can optimally bridge the active and passive divide. The Conference presentation is not available for download. Most people think it is impossible to service the small plan market. Micro and Sma Plans can be profitable if you make your process scalable and partner with the right service providers. This session will cover building a streamlined fiduciary process to be able to act as a fiduciary to small 401(k) Plans. Get your marketing scorecard ready! Learn how to make your value prop POP through an interactive exercise designed to assess your brand authority, retirement plan services and on-going influencer marketing. Walk away with a full marketing diagnostic of your business, as well as specific pinpoint action items to enhance your 401(k) business. What can advisors do to plug into the world of foundations and what are the hurdles that we still have to jump to be successful? What is the landscape for a fiduciary requirement when dealing with investments under UPMIFA and what effect has the DOL Rule had on the foundation world. Your proposal is stellar and you are the leader going into the finals. What got you to the finals? What makes you different? Are you really as good as you look on paper? You don't want to lose the plan because of your presentation. There are 80 million working Americans who are not offered a workplace retirement opportunity. In this presentation, you will learn what has been in development with the State Administered Retirement Plans (SARPs) and how there is a major opportunity for advisors to capitalize by growing their clients and revenues. The Conference recording is not available for download. Today's blue collar workers are intelligent consumers whose earnings often put them into a higher socioeconomic status than their college-educated peers. However, they are less likely to seek out financial advisors and planners to manage and grow their wealth. This session discusses how advisors can connect with, market, sell to and retain blue collar clients whose incomes of $70k+ can put them in a solid net worth range worth targeting.